Description (from Front Flap): Honesty, courage, patience, kindness, responsibility: For generations, parents have passed along valuable lessons such as these to help their children strong moral character. 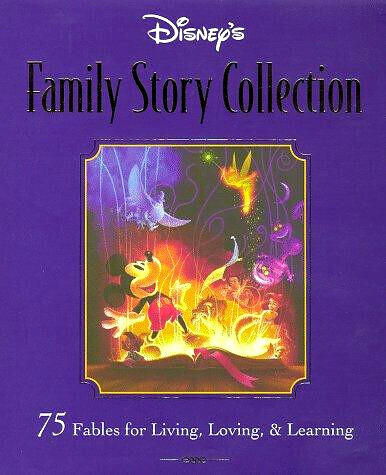 Adapted from 75 years of classic Disney films, each story in this heartwarming collection imparts a specific message to today's children. "A Fair Fight" shows how Peter Pan keeps his word, even in the midst of a perilous fight with Captain Hook. In "Born to Be King," Simba learns that he can't change his past, but he can improve his future. And in "Who Could Love a Beast?" Belle realizes that a gruff exterior sometimes hides a tender heart. by families for years to come. 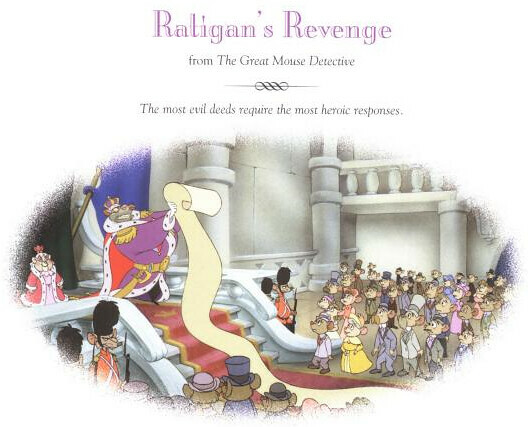 GMD mention: Pages 52 - 55 is "Ratigan's Revenge" and pages 238 - 239 is "Dawson's Detective Work." These both contain scenes from the original film with altered dialogue and action for story-telling purposes. Where can it be purchased: The book is currently available new and used at Amazon.com (Hardcover version). 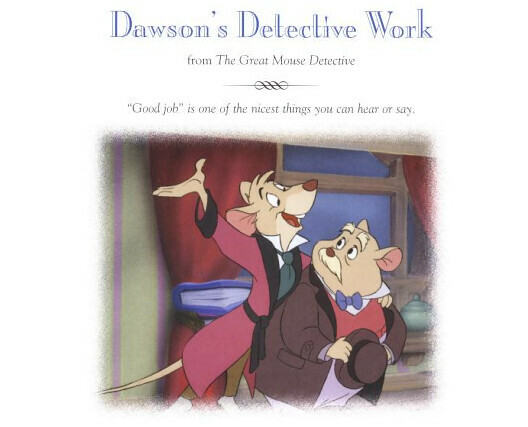 Copyright © 1998 by Disney Enterprises, Inc.